Gift Cards Are Here! AND the Editwright Referral Program! We have two exciting announcements for you today! 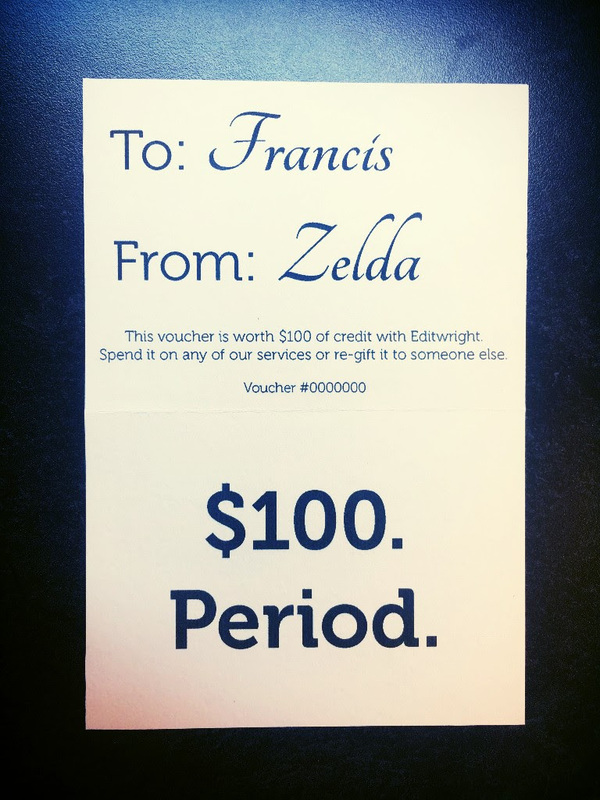 First, be sure to order your Editwright gift cards today to get them in time for the holidays! And yes, gift cards count toward that referral total, so buy someone a $100 gift card and earn yourself $100 when they spend it! 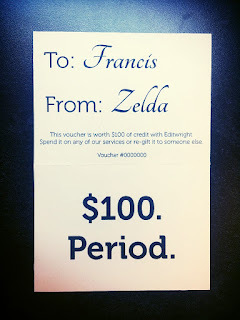 To buy a gift card or to refer someone to Editwright, send an email to andrew@editwright.com.